The very best free selection of art business related e-books and publications online. Each title has a direct link to the website form which the publications can be downloaded for free or in some cases ordered as a hard-copy at no cost. Summarises the six education and the arts research projects commissioned by the Australia Council for the Arts since 2001. It identifies common themes in relation to key benefits of an education rich in the arts. Available from the Australia Council for the Arts. You don't have to be famous, gifted or even very rich to benefit your favourite arts organization, cultural institution or arts practitioners in a lasting way. The Wallace Foundation. Free e-book to find out how leading art groups are increasing arts participation. A business plan is the expression of your organisation’s operational direction and is integral to performance management. Covers key elements that your funding partners would expect to see in your business plan. Available from the Australia Council for the Arts. How to balance 'earners' and 'learners'. Penny Smith has juggled a rich professional life of working in education and now as a full time ceramic artist. A national conference on arts participation offers lessons on how arts groups can: use market research and new technologies, take stock of demographic shifts and keep a focus on participation to ensure long-term health.. This manual provides advice for arts organizations in building closer relationships with their audiences, drawing on information gleaned at crucial points in the transaction process - from website to box office and ultimately to concert hall or gallery. An innovative series of four articles commissioned by Object: Australian Centre for Craft and Design on behalf of the visual arts board. The Te Kete Ipurangi Online Learning Centre, offers probably the most easy to understand publication discussion issues such as, copyright, intellectual property, trademark, patenys etc. Absolutely recommendable. This 15 October 2003 forum looked at the opportunities for education institutions, councils, artists and communities to use imagination as a building block for new creative partnerships. The When, Why and Where of Marketing Can anyone create a clever, humorous, topical, or insightful piece of marketing, and then launch it to rapturous applause and seemingly hysterical viral distribution at any time? The answer is 'perhaps', provided some fundamentals are adhered to. Marketing Is Us offer this free e-book online. Why marketing ROI measures LEAD TO FAILURE? A funny and easy to read e-book. A key outcome of Arts Queensland's Marketing Cultural Diversity Research Study. A step-by-step guide for marketing to culturally diverse audiences, and gives insight into strategies that have already been implemented by others. Available from Art Promote - Art & Culture Online features a brilliant article on how to prevent image theft on a website? How to disable right clicking on your website etc. Easy to understand. Available from the Australia Council for the Arts. A guide for organizations, communities and artists involved in collaborative arts projects. Presentation by Roger Tomlinson on effective eMarketing made at the 2005 eMarketing Summit in Adelaide. Eric Booth interview, one of America’s leading experts on arts-learning and creativity, and advisor to the Musicians National Service Initiative. The National Arts Corps, placing artists across all artforms into fulltime service in schools and communities. Marketing Is Us offers this e-book as a free download. This publication talks about thinking about the next step in Marketing and is written by Seth Godin. Available from the Australia Council for the Arts. This is the handbook for you if you are seeking or planning a mentorship in the arts industry - either as a mentoree or mentor. This book lists examples of Creative Partnerships Australia Award winners and finalists. They combine creativity and commerce. Passion and practicality. Innovation and inspiration. A toolkit providing the absolute lowdown on getting projects up and running. It has advice on everything from the initial flash of inspiration to taking the final bow and all tricky bits in between. Australia Council for the Arts. Creative projects by recently arrived and refugee communities, supported by the former Community Cultural Development Board. HOW TO MAKE A CAREER OUT OF BEING AN ARTIST? 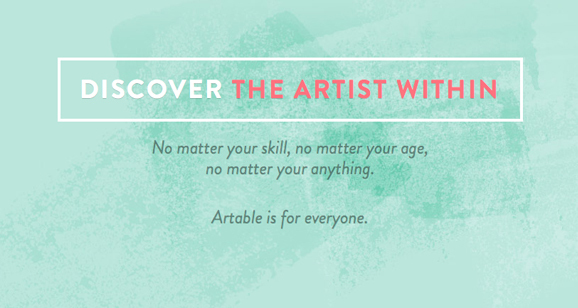 Guidelines on how to make a career out of being a visual artist. This link does not work at all times, Please Google title if not. HOW TO WRITE A PRESS RELEASE IN ONE EASY LESSON? How to guide to writing a press release covers why write one, what to include, how to deal with photographs, who to send it to, and when, and how to follow up with journalists. Available from the Australia Council for the Arts. A comprehensive 26-page directory containing contact details for nearly 200 Australian arts organizations. Updated annually. Available from the Australia Council for the Arts. A listing of artist-run initiatives, spaces, and community and student galleries in Australia compiled by the visual arts board. Marketing Is Us offer this free e-book online. Big thoughts make a difference. Things to think about this year. Australia Council for the Arts. How to optimize your website to attract and retain visitors' Vicki, who has headed marketing departments in Internet and arts organizations across three continents, talks about the important things you need to do to maximize the effectiveness of your website. Australia Council for the Arts. Follow this list of do's and don'ts, written by Kay Ross, freelance editor, copywriter and marketing consultant, for your best chance of getting media coverage for your event and to avoid treading on journalists' toes in your efforts..
Australia Council for the Arts. The recent Australian federal arts policy revived interest in the resale royalty rights for visual artists. This article outlines the pros and cons of such a scheme and raising questions effecting visual artists. This How-To will take you through the steps to first decide if you are in a position to embark on a sponsorship arrangement and will then provide guidelines and templates to assist you down that road. The Australia Council for the Arts. This summary was prepared and written by José Borghino as a reference guide to the larger report and presents edited highlights from The Arts Economy 1968-1998: three decades of growth in Australia. Marketing Is Us offers this e-book for free online. A great and easy to read book on PR writing. A summary of postings to the fuel4arts.com, email discussion FORUM with Guest Specialists; Donna Walker-Kuhne, Melanie Doheny and Marshall Cullen. Covers Media, Grants, Promotional Materials, Openings, Craft, Bands, Pricing, Writing, Competitions and Websites. Australia Council for the Arts. This survey of art and craft buyers helps workers within the visual arts and crafts enhance their understanding of buying patterns and consumers. How to use news releases, blogs, podcasts, viral marketing and online media to reach your buyers directly. How word - of - mouth spreads your ideas for free. Big thoughts make a difference. Things to think about this year. What about you? A groundbreaking national survey from the Urban Institute offers insight into the many motivations behind arts participation. This E-Books contains absolute great information about the fundamentals of research, how and when to conduct your own research, case studies, example questionnaires and resources and much more. We highly recommend this book as one of the best and easy to understand books around. The Australia Council for the Arts provides this step-by-step guide with enormous useful information on how to develop arts marketing plans. We highly recommends this publication as one of the best. Australia Council for the Arts. Provides examples of diverse projects funded by the former Community Cultural Development Board. Available from the Australia Council for the Arts. A comprehensive guide to email promotion for anyone working in the arts. This Australia Council site has several links to research data, Incl. : How does Australia compare to other countries? How do we feel about the arts? Are there markets for Indigenous arts? How do young people compare? What is the Australia Council's research program? etc. A practical tax workbook designed to assist artists and arts organizations of Australia with the tax system. Helps understanding the tax system. This publication was produced in 2000, there maybe changes to the taxation system and legislation since. Available from the Australia Council for the Arts. A starting point for those new to marketing, and a handy navigational tool on the road to successful marketing. The Australia Council for the Arts. provides a statistical overview of the millions of Australians who are involved in amateur and professional work in the arts and culture. It summarizes data on numbers, demographics, income and education of artworkers. Available from the Australia Council for the Arts. This report takes us on a journey through Australian life by looking at how Australians think and feel about the arts. The report looks deeply into how the arts might play a larger role in our public and personal lives. Available from the Australia Council for the Arts. This companion to Australians and the Arts distills the principal findings, strategic issues and re- commendations detailed in the full report. Available from the Australia Council for the Arts. Assembles ideas and case study material that demonstrates connections between community cultural development and government 'wellbeing' initiatives. Available from the Australia Council for the Arts. A comprehensive guide to direct marketing for anyone working in the arts. Available from the Australia Council for the Arts. A comprehensive guide to maximizing your advertising spend for anyone working in the arts. Available from the Australia Council for the Arts. A comprehensive starting guide to working with the media for anyone working in the arts. Available from the Australia Council for the Arts. A comprehensive guide to constructing messages and promotional campaigns for anyone working in the arts. Available from the Australia Council for the Arts. A comprehensive starting guide to promotion and marketing for anyone working in the arts. Available from the Australia Council for the Arts. A comprehensive guide to communication strategy for anyone working in arts organizations. Marketing by interrupting people isn’t cost-effective anymore, nor sending unwanted marketing messages. Instead, establishing a foundation where interested people can market to each other.